They hadn’t won a National Championship in TWENTY years. They were seeded NINTH this year. They were facing two Set Points against them in the third Set when it was tied 1 Set apiece… and the Bruins pulled out the win. Are you Kidder me? 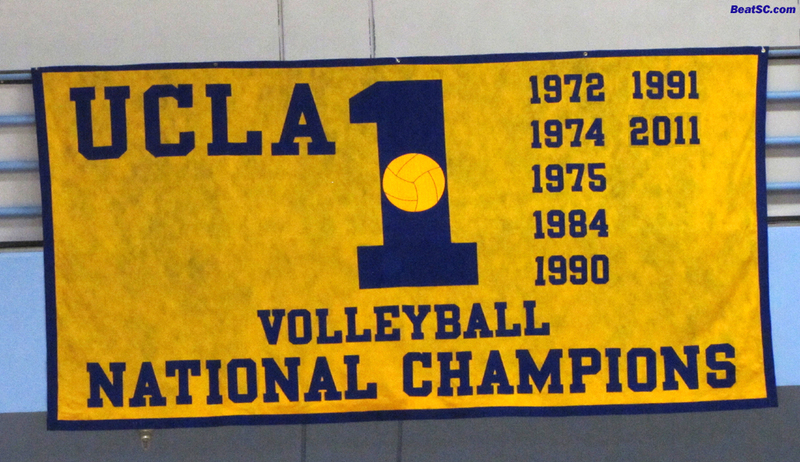 Led by Rachael Kidder who had 20 Kills and was named MVP, UCLA fought off those Set Points to take Set 3 26-24, then cruised through Set 4 25-16 to win the Women’s Volleyball Program’s FOURTH NCAA Championship 3-1, and the 108th NCAA Title for UCLA overall. Of course, that is more than ANY OTHER school in the entire Country. Illinois, who knocked off u$c in 5 Sets in the Semi-finals, had plenty of chances to forge ahead in this Match, going on a few impressive runs, and controlling momentum at points in all of the first 3 sets. UCLA allowed this with a few lapses that resulted in series of bad passes. But the lapses didn’t last long. Coach Michael Sealy — who also won a National Championship as a player on the UCLA Men’s Team in 1993 — called some key Time Outs, and got his team back on the right track. With some diving, acrobatic Digs, some sly second-hit scores, some unbelievable Blocks at the net (including a team-high 11 by True Freshman Zoe Nightingale), and some unstoppable Spikes, the Bruins found the way, all the way to a happy ending. 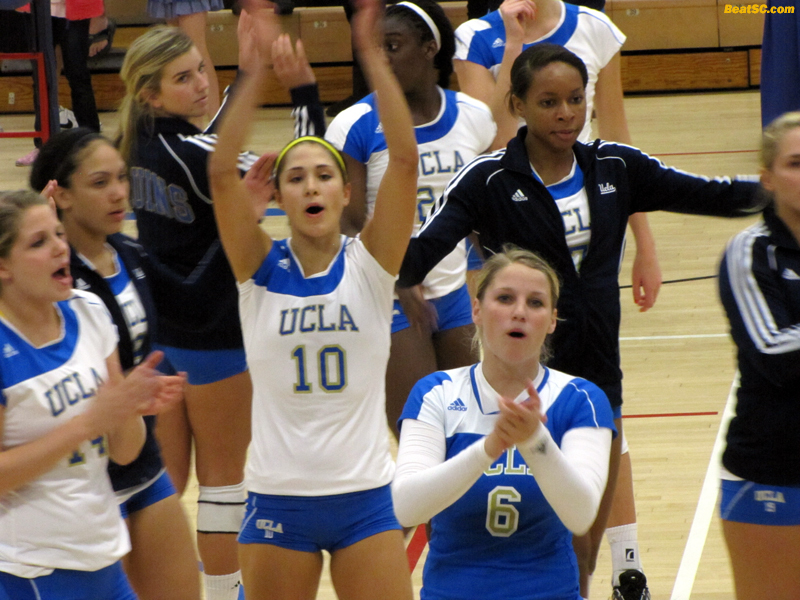 "A VOLLEYWOOD ENDING" was published on December 17th, 2011 and is listed in Blue & Gold News, UCLA/usc/Sports Photos. GO BRUINS! It was a great match to watch on ESPN. Very exciting. I wish all our student-athletes displayed this sort of heart. GO BRUINS! to the Bruin ladies! A well deserved victory and title! go Bruins! Fantastic to see another Championship! Celebrate!! !